THE BLOG TAKE HOME: How is reality built? You have to build time first before reality can exist. How do proteins in our cells create time from nothing? Answer: They use “holes” in semiconductors to create an exciton. An exciton is a particle that doesn’t exist for long timescales. An exciton can form when a solar photon is absorbed by a semiconductor in a cell. Semiconductors science are part of condensed matter physics. This means “holes” in electrons is covered by this type of physics. A “hole” is a quasiparticle consisting of the lack of an electron in a state; it is most commonly used in the context of empty states in the valence band of a semiconductor. You may ask what is a quasiparticle? PHYSICS GEEKS: Quasiparticles and collective excitations (which are closely related) are emergent phenomena that occur when a microscopically complicated system such as a solid behaves as if it contained different weakly interacting particles in free space. For example, as an electron travels through a semiconductor, its motion is disturbed in a complex way by its interactions with all of the other electrons and nuclei; however it approximately behaves like an electron with a different mass (effective mass) traveling unperturbed through free space above the semiconductor in its pi-electron cloud. This traveling changes its mass on a realtive basis. This “electron” with a different mass is called an “electron quasiparticle”. In another example, the aggregate motion of electrons in the valence band of a semiconductor is the same as if the semiconductor contained instead positively charged quasiparticles called holes, I mentioned above. Other quasiparticles or collective excitations include phonons (particles derived from the vibrations of atoms in a solid), plasmons (particles derived from plasma oscillations), and many others. A “hole” is created because light has ejected an electron from that space to create the “hole”, and this open spot has the opposite charge of an electron. It is more positive, because the electrons has been ejected by a light photon so negative charge is lost. An exciton is an electron and its hole bound together as a unit. During the process of photoionization, the ejection of an electron will result in the formation of a positive ion (M+). The M+ is the hole. The energy required to cause the ejection of an electron is known as ionization energy or electron binding energy. END OF GEEK SECTION. Life is made up of cells filled with semiconductors as Szent-Gyorgyi theorized in 1941 and Becker proved by experiment in the 1960’s. An exciton is a bound state of an electron and an electron hole which are attracted to each other by the electrostatic Coulomb force. It is an electrically neutral “quasiparticle” that exists in insulators, semiconductors and in some liquids. Quasiparticles act like “holes in reality”, that can exist even when nothing is really there. In this way something odd occurs with respect to “time”. The use of this mechanism tells living things something essential about “present time” and its boundaries are at the ledge of classical science. You need “holes in reality” to understand how quantum time works in living things. Excitons are just one form of a quasiparticle that life uses that is deeply involve in time creation and energy generation. Excitons are critical to photosynthesis, so therefore they are germane to the understanding the entire food web. These particles are found in “holes” in things that exist in cells. This method of energy generation is critical to life’s origins because it used this mechanism to build the entire food web on Earth. 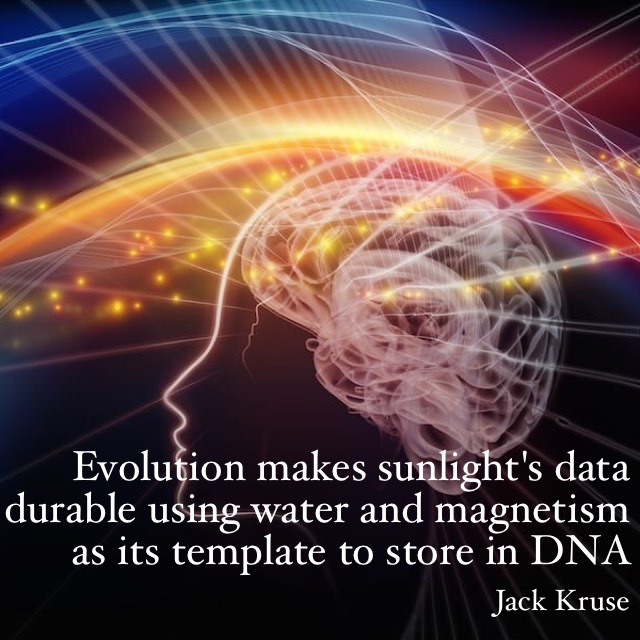 If that sounds counterintuitive to you, welcome to how nature uses sunlight quantum mechanically. The central mystery of quantum mechanics is the duality of light. Light can be both a particle or a wave. This duality became more profound when scientists began to apply this ability not just to particles knocking about in free space, but to the goings on within solid materials made of many partcles jostling around for position. The chiral symmetry built into proteins and subatomic particles promotes randomness of movement of electrons in the substance of tissues. Today’s anomolies in biology will become tomorrow’s theories and laws using these “holes in reality”. Proteins create an electronic energy field in tissues when light interacts with them and ejected electrons ride that field. This is why life uses carbon based protein polymers as its key semiconductor to act with light and water. There are ways to move subatomic particles beyond what we are able to sense. Energy only become visible to us when it is transformed. Semiconductor movement of electrons is one example of such movement that manifests light energy in cells usin N and P type semiconductors. In a leaf, tissue, or in RBC’s there is a great number of atoms that come together to make tissues that act like a crystal. These proteins are hydrated and they act as liquid crystalline polymers of carbon that are photo-reactive in some novel way. All these atoms have valence electrons but in a crystalline lattice they don’t act like they belong to any individual atoms in the protein lattice. The act like they belong to the whole organism. An exciton created in a leaf or a red blood cell can be used by the whole organism to create the energy for life. Soon after Szent Gyorgyi’s brilliant deduction, in 1947, William Shockley was trying to perfect the transistor in electronics by building it to have an on and off switch for an electrical current. He decided to use semiconductors to do it because semiconductors are made up of atoms deficient in electrons. Back then, it was known that semiconductors missing electrons created gaps in the molecules creating an area of “nothingness” in the material. He realized these “gaps or holes” in semiconductor lattices could be considered a particle in their own right, something like an electron that carried a relative positive charge, since the hole was missing the negative charge. He was describing a P-type semiconductor. If we have a P-type semiconductor it must be that we also must have an N type semiconductor. Here was born the idea of the N-type semiconductor for modern technology. It has electrons with negative charge. Collagen is the most common N-type semiconductor in life. A P-type semiconductor is one that has a lot of holes with missing electrons. In human bone, appatite is the P-type semiconductor. DHA is capable of acting like both because of it 22 carbons with altenrating double bonds. n the inner mitochondrial membrane the electric field strength is 105 volts/cm! DHA was the lipid that allowed for this to occur because it has 22 carbons that are double bonded. This alternating arrangement give DHA a large pi-electrons cloud adjacent to positively charged holes. This makes DHA the first lipid on Earth to become a fully assembeld semiconductor in one molecular piece. The double bond it creates alternating holes (P) and electron rich (N) areas naturally in DHA. DHA the semiconductor, gave life the ability for the first time to direct and initiate activities by affecting energy flows because cell could emit light via an LED mechanism. It also gave cells the ability to create informational functions where DHA was assimilated in tissues (CNS and retina) to establish power consumption and directional energy flows, because with semiconductors the amount and locations of power consumption provide both information on the actions that are taking place. This is why the leptin receptor was placed between the eye and the brain, the two tissues who have the most DHA. This puts it in a position to be the ideal conductor of energy control systems for the organism. 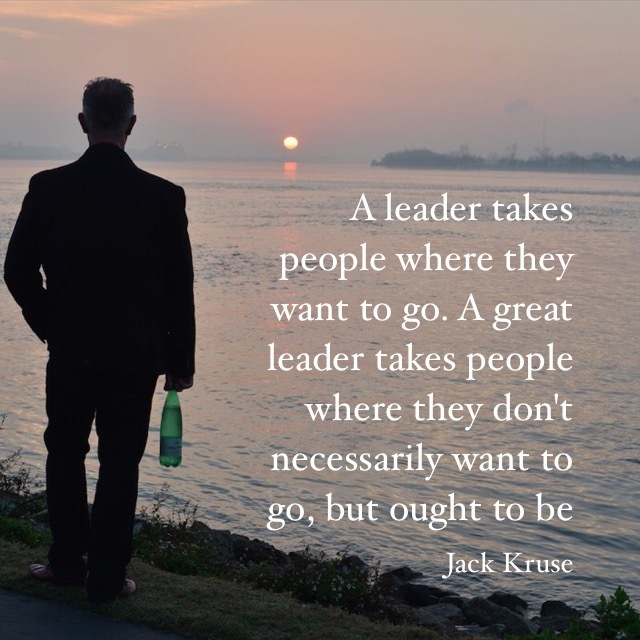 Many people are not down on what they are not up on. Semiconductors afford life another key benefit because they have properties that few other materials have. Conductors of electric signals, like your old phone line, can transmit information or energy data. Semiconductors can transmit information and energy simultaneously to and fro. Not only that, they have the innate ability to process energy as it flows. The information can be processed in many sophisticated ways. It can store, switch, delay, modulate, amplify, detect, rectify, or filter information and energy as they operate. This sounds like a pretty big advantage don’t you think? Do you think this might the reason why DHA has never been replaced one time in 600 million years of evolution? I do. It’s ability to act a N and P semiconductor all in one molecule is the reason it is irreplaceable to complex life in eukaryotes. Semiconductive networks can be built to have a read only and programmable memory and logic circuit that is capable of evaluating information flowing through their circuits assuming you have not destroyed them with blue light or nnEMF. In life, these circuits allowed animals to become complex and undergo speciation rapidly. This idea short circuits Darwin theory of evolution or gradualism under the control of natural selection. These circuits allowed cells for the very first time to make quick decisions quantum mechanically that lead to actions. The actions possibly selected for would then be determined by a combination of genetic programming that worked best with DHA and not the other way around. This shows you why I don’t believe the Central Dogma of Darwian theory of evolution. DHA breaks his ideas apart and explains what his theory has never accounted for, namely complexity and rapid evolution at the Cambrian explosion. DHA allowed for magnetic storage of the proteins and the side chains it worked best with to build the programmable and logic gates a cell needed to control energy flow. In this way, the brain was a late epi-genetic development in eukaryotes after DHA showed up in the seas with photosynthetic algae and bacteria that made it and oxygen. This semiconductive circuit could innovate solutions with quantum speed using “holes in reality” for the very first time in Earth’s history. These circuits could store memories, built databases of movements, activities, and direct the current of information from local to distance sites at the speed of light. When you see the development of the power distribution from a solid state perspective it makes the endosymbiosis of a bacteria to make energy using oxygen and logic gate decision. You don’t need any intelligent design in the system with a semiconductor circuit. Today’s computers prove this model’s efficacy. Now you might begin to understand why this picture forms the spine of my beliefs now. Physics found out quickly thereafter that these electrons and holes can be made to combine using quantum mechanical laws to create a quasiparticle that seems to “defy time” as we know it. When they do combine, you do not get zero as the sum as you would if you added +1 and -1 together. Moreover, the process of combination occurs without any time elapse in reality! When this occurs in semiconductors we get something called an “exciton”. The processes that defines an exciton’s formation is thermodynamics. The critical difference between the “past” and “future” only exists if there is heat. Heat is a red frequency of light and it makes atoms and molecules move in certain ways. Those motions are critical to understanding probability and to understanding time. Heat, as we all know, always moves from hot things to cold things. This should make you ask yourself, why does heat always seem to go from hot to cold and not vice versa? More interestingly, did you know that there is no universal physical law that tells us heat always has to move from hot to cold? Heat moves this way only because this direction has large probability of occurring. We can thank Boltzman for proposing this idea in the late 1800’s. Today in the 21st century statistical mechanics of heat movement has now been extended to electromagnetic and quantum phenomena. Today, because of Boltzman, we know both space and time must vibrate or move, but we still do not know how to describe this process well with words of mathematics. In physics, there is nothing that really corresponds to now or the present. Special relativity has shown us that the “present” is also subjective to the context we use it. Einstein taught us with relativity theory that time is always relative in the universe. One of the most odd aspects of the Theory of realtivity, from my perspective, is that it says our experience of the passage of time does not need to reflect a fundamental aspect of the reality we observe. Therefore, it should raise the question, if time is not fundamental, where does it come from, and why do we have vivid experience of the flow of time in our lives? It seems to me we can only detect time’s flow when there is a passage of heat in tissues. This occurs only as electrons and protons are moving in our mitochondria. When the movement of these particles ceases, no heat is made and time vanishes. Time ceases to exist for the living creature when this is not happening. Living things generate heat when they experience time. The only detectable difference between the past and the future in any living thing is when heat flows to and fro. This sounds counterintuitive until you really understand what mitochondria are all about. They are quantum nano heat machines. It turns out our mitochondria direct the flow of heat inside each one of our cells. Since heat is linked to probability, and probability is linked to our interactions with the rest of the world, without heat generation in mitochondria our brain is incapable of registering the fine details of reality we observe. This means that the flow of time has to emerge from the physics of organisms. It emerges in the context of statisitics and thermodynamics. If you ask any engineer, they only build things in linear fashion that follow the thermodynamic dictum that heat flows in one direction. It appears, to me, that living cells do the opposite at night. This is why melatonin levels rise when body temperature falls. In daytime, our bodies go from hot to cold, and as we get colder at night, melatonin rises, we sleep and we enter REM sleep to regenerate. For these reasons, we might be able to begin to understand why life organizes around proton gradients at night and not on electron movement. In Nick Lane’s new book, The Vital Question, he waxxes poetic about this fact but cannot explain it. Might it be that protons contain more energy than mass? Might it be the best way to re-capture time by changing the flow of heat from cold to hot? I think so. It turns out 650 million years ago Mother Nature got this idea and used it in plants, and it turned out to be integral in photosynthetic energy generation. 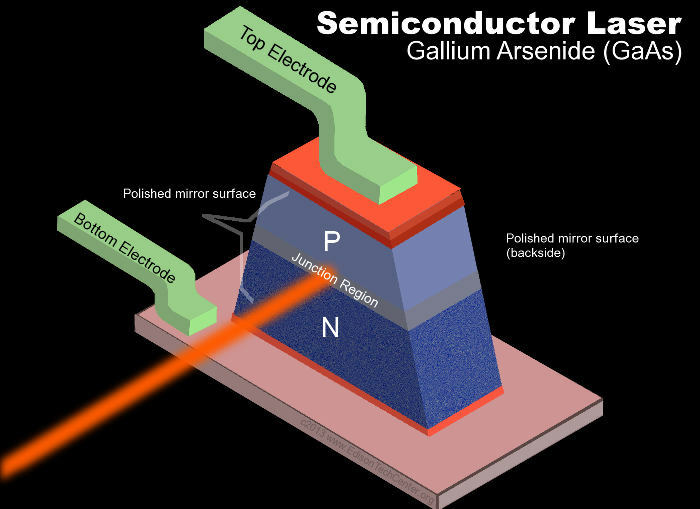 Conductivity in semiconductors depends upon two factors. The number of charge carriers and their mobility. It took 40 years for Szent-Gyorgyi to figure out in his lab in 1981 that the conductivity in any animals tissue was wholly dependent upon its water content. He showed that a 10% change in water content could trigger a million fold change in charge transport along proteins. Physics found out about this non linear function using silicon in the 1950’s and the technology boom was begun; they still have no clue it is possible, more safely, with carbon based semiconductors in water. Bio-physicists have figured it out largely due to Szent-Gyorgyi and Becker. Modern cell biology still remain ignorant of this, if you can believe it. So how did life take advantages of the “holes in reality”? The Earth recieves more energy from the sun in one hour than 7.5 billion people could use in a year. Plants perfected the art of catching this power thanks to “excitons“. Inside the leaves of plants are light harvesting proteins. These proteins absorb photons, and the energy kick from sunlight “excites” electrons and moves them out of position creating holes. The electron and hole then connect to form the “exciton” which travels at light speed all around the photosynthetic machinery using no time. This ability is 100% quantum mechanical. It occurs over the cytoarchitecture of the proteins just as the internet is streamed over a semiconductor chip. Mother Nature’s version is faster than man made semiconduction. When the excitons arrive to where the energy is needed, the electron and hole separate, releasing their energy. That light energy burst is used to split water into hydrogen and oxygen. The charge separation in water sets the stage to build the exclusion zone (EZ) in leaves and this allows the formation of sugars from CO2 and sunlight. Without this one reaction life as we know it on earth could not exist. Every complex single thing owe’s its life to this process. Photosynthesis begins with light harvesting from the sun, where specialized pigment–protein complexes transform sunlight into electronic excitations delivered to reaction centers to initiate charge separation of water in plant cells. This reaction not only supports ALL LIFE on Earth and it is the basis of all the food webs on Earth. Excitons are considered as the basic concept used by describing the spectral properties of photosynthetic pigment-protein complexes and excitation dynamics in photosynthetic light-harvesting antenna and reaction centers or proteins. The proteins are porphyrins in plants. They use a magnesium porphyrin to create excitons. Animals use an iron porphyrin to do the same job in blood. Scientists recently obtained structures of a variety of photosynthetic pigment-protein complexes from plants and bacteria and they’ve become interested in understanding the relationship between protein structure and function. They are using spectroscopy to study these relationships and because they have people now understand why water is critical to all life. Papers on the spectroscopy of water has strongly increased in the literature as a result. The data demonstrate a short interpigment distance (of the order of 1 nm or even smaller) and/or a highly symmetric (porphyrin ring-like) arrangement of pigment molecules in peripheral light-harvesting complexes of photosynthetic bacteria, leaves, and hemoglobin are critical in making energy from sunlight. Books have been devoted to understanding the “exciton problem” in photosynthesis. It is well established for plants, but few people have extended the idea to animals blood and the interesting relationship it has to the skin under the power of solar light. Sunlight brings blood to the surface of animals. Right now scientist have mainly considered the spectral properties of the molecular crystals inside the photosynthetic complex. However, the small atomic size of these pigment aggregates in the hydrated pigment-protein complexes are quite important. The role of the nitrogen rich proteins in porphyrins are responsible for the structural arrangement of the complex and play a huge role in creating an exciton. They clearly have a dramatic influence on the pigment spectral and exciton dynamics and these proteins are always hydrated. It appears that the most critical metabolic functions of plants and animals occurs on the cytoarchitecture and not inside the cell. Ingber wrote a seminal paper on this in 1993. He showed that the photochemistry of the cellular architecture actually regulates the metabolic processes and not the other way around as we are taught in biochemistry books. This has huge implications for cells with respect to non linear optics like the Faraday effect. One such non linear aspect of light, circular dichromism is induced in the proteins of both molecules to photo-electrically couple the central metal atoms and the porphryin ring together so they can act in coherent fashion with incident solar light. If you look at the picture above you will see the perfect set of circumstances exist in living things. This protein symmetry promotes randomness of movement of electrons in both systems of energy creation from sunlight. Once the light excites the cytoarchitecture of a cell components of the cytoskeleton can vibrate and move with complex, but measurable harmonics. Harmonic transfers are also another non linear aspect of photocatalysis. It is directly related to the electronic susceptiblity of the cytoarchitecture. This is why Ingber paper is so crucial today now than ever before. Every time a cytoskeleton piece vibrates it moves, and that movement is capable of creating another “hole in reality” that a cell uses for life. That vibration is called a phonon. Phonons act like waves on the ocean. They travel throughout the matrix of the nucleus and cytoplasm and then move into the extracellular matrix to deliver both information and energy to all parts of a cell and tissue. Any system using phonons is high fidelity system. Human hearing uses this to its advantage. ANALOGY #1: How high is the fidelity in a cell? The first example will use biology. Tinnitus is the brain trying to heal itself but it cannot. Tinnitus arises when this flexibility goes bad inside of the mitochondria. It’s mitochondria in Ammon’s horn looking for the right frequency so mitochondria can increase tunneling speeds and become better able to use beta oxidation for fats and the TCA cycle for glucose. The key to understanding neuronal function is understanding how a reflex organizes the entire nervous system. This goes back to the work of Sherrington in the 19th century. Bereft of incoming signals, the neurons lose the feedback control and they begin to do things they usually would not. This is what gives the phantom sounds of tinnitus. Neurons tuned to the tinnitus frequency in the auditory cortex became less active, thus this alters the reflex arc between the cochlea and the auditory cortex and brainstem. In all of these places, their is wide spread energy deficits in mitochondria that reduce the activity of neurons. Calcium efflux is usually behind this secondary effect of lower energy out put of tissues. It turns out out of the 5 senses hearing using the most energy because of its ability to distinguish waveforms is so sensitive. For example all humans can tell the difference between a sound that is 30 Hz or 60 Hz. The same is not true about our eyes and vision. Few people can sense the difference between a pulsing light at 30 cycles a second versus 60 cycles a second. ANALOGY #2: How high is the fidelity? Here we have to enter the world of physics. PHYSIC GEEKS: Cells are dominated by vibrations. The coherence or structural order of life is capable of triggering a coherent electromagnetic field. In physics a coherent field arises because of the spatial variation of the condensation of Goldstone bosons. Goldstone bosons are massless bosons that emerge from physical theories whenever a continuous symmetry is broken. In QCD, breaking chrial symmetry is quite important and I have a sense it is directly related to the chirality of protein semiconductors in cells that link it to the Faraday effect. The most familiar goldstone bosons are the phonons that carry sound through solids. If you hit your fist on a table that sound is being propagated through the material by goldstone bosons moving through the material. These particular bosons emerge when we break translational and rotational invariance in moving from the isotropic fluid to the solid on freezing. Every time DNA uncoils it releases exciton and phonons in this way. This is why levee one of the Quilt is what it is. This playing field of life is critical to understanding it. Detailed mathematical treatment of this system leads the physicist to the conclusion that all biologic systems will exhibit phenomena that are non linear, and associated with superconductors which can break symmetry in some way. These will include the influences of weak magnetic fields and Josephson effects. I’ve talked about Josephson junctions in earlier blogs. They are arrays of superconducting magnets separated by a thin film to create a SQUID. A SQUID is an ultrasensitive magnetometer that is capable of detecting the magnetic fields produced in the spaces around proteins. These Josephson junctions are used for information storage and information processing in cells. END OF THE GEEKS FEST. SO HOW DOES THIS LINK TO THE NON LINEAR EFFECTS OF LIGHT? The Faraday effect generates magnetic fields in tissues when those proteins in the tissues are connected some way electrically as we explored in the Time 23 blog. Why am I so interested in this effect is because I think its basis of why mitochondria can be organelles in a cell that harbor and hide a transient magnetic monopole formation in cells and we can use SQUIDS to transfer its energy wirelessly. The cytoskelton can act as an antenna and receiver of this information. The Faraday effect is an optical magnetic effect that occurs in most optically transparent dielectric materials including liquids like water. Normal tap water has a dielectric constant of 80 but EZ water inside a cell is 160. During the daytime when the sun is out cells are made transparent by UV light exposure and the presence of the DC electrric current in cells. For the Faraday effect’s magnetic/optical properties to manifest a local magnetic field must influence the crystal or liquid crystal dielectric under the influence of this magnetic field. The Faraday effect causes a rotation of the plane of polarization within a media/tissue which is linearly proportional to the component of the magnetic field in the direction of propagation. Today we know that K+ ions can polarize light in cells to make them birefrigent under a polarized light microscope. This is an example circular dichroism in cells. Some other reasons I am so interesting in this recent finding is that the Faraday effect is used in spintronics for topologic insulator research to study the polarization of electron spins in semiconductors. Faraday rotators can be used for amplitude modulation of light, and are the basis of optical isolators and optical circulators; such components are required in optical telecommunications and other laser applications. Cells use all these components as well. Exciton theory is mainly considered for small molecular aggregates like dimers and ring-like structures etc. and how light makes them. Exciton theory deals with linear and non linear polarization properties of the absorption and fluorescence spectra. In fact, nonlinear femtosecond spectroscopy is now widely used for investigations into photosynthetic exciton research. 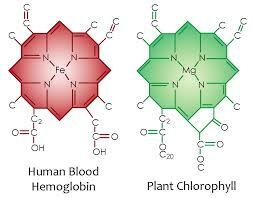 In humans we now have people using NIR spectroscopy to study water, chlorophyll, and hemoglobin work with sunlight and how animals went further than plants and linked the process to phosphorous laden proteins to use an “animal version” of photosynthesis in the blood. In life copperative effects occur when the sunlight hits protein semiconductors every morning. The energy they assimilate arise spontaneously each day and night time we face. The energy they collect allow our bodies to self organize and regenerate. 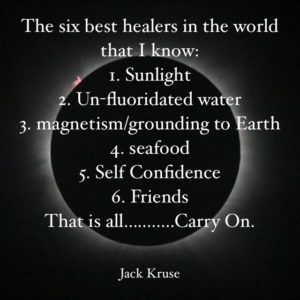 When we have problems with this connection disease, degeneration and wound healing problems manifest. In biology order comes from disorder under the power of the sunlight that generates a perineural DC electric charge in us. This DC electric current orders the collagen of our entire system. It is how we electrically couple every cell in with the day night cycle. This collaborative behavior is studied in physics in a subbranch called synergetics. An ordered system is built to come together under one circumstance and then it comes apart once the stimulus is removed. An ordered system may become chaotic or disordered in response to a small stimulus called a perturbation by a physicists. Light’s absense and presence is life’s pertubation signal. The interesting thing about ordered systems is when the general principles of organization are known, predictions can be made about complex system’s behavior without the need to know every last detail about the information and energy contained in the subsystems of life. This is good news for my readers. When order manifests from disorder we call this a phase transtion in energy exchange. It is reciprical too. Disorder can also result from a more ordered. This describes circadian biology’s cycles in animals. The idea of phase transitions is easy to contemplate when you consider disease, disorder, or healing as phase transitions inside an organism that is built around this far from equillibrium self ordering idea. Plants are stationary and don’t move so their photosynthesis is more easy to get down. Animals however are built to mover across their environments. How do they use varying light and magnetic flux to their advantage? All of science is filled with data that at one time or another was inexplicable. Today’s modern clinician is frustrated because his armentarium is ill equipped to help patients with modern disease. Today’s physician knows that in the library of all human ideas, magic has always preceded science, and intuition of phenomena anticipates their objective existence. The “holes of reality” are nature’s way of giving man a precognition of what is coming for modern medicine and patients alike. It is exciting for me as a clinician to be alive at a time when frustatration is palpable in all medical specialties. This makes it the perfect time for change to occur. Patients are ready for change, but the paradigm medicine has built is not. To observe what many others have before is one thing, but to think and connect how they all fit together is a thought no one has undertaken yet. Electronic biology is that future. It is OK by me if you do not see it, but we live in a photoelectric world and we live in an electric universe. New idea’s like these presented in the blog can be quite fragile at their outset. When we first unleash them on the world they can be minimized by a “yawn”; they can also be slowly bleed to death by a sharp comment, or killed by a facial frown. But when an idea is really special, it is a rude awakening to the new dawn’s sleepy eyes. A new idea is like a beautiful sunrise; it begins whispering to the world that something new is happening on the world’s stage for the very first time. It’s time for us all to wipe the sandman from our eyes and wake up to these realities because they are no longer ideas. We know each one occurs, and we need to decipher how they work in all disease paradigms. Herbert van Amerongen (Vrije Universiteit, The Netherlands), Rienk van Grondelle (Vrije Universiteit, The Netherlands), Leonas Valkunas (Institute of Physics, Lithuania). “Photosynthetic Excitons.” June 2000. Szent Gyorgyi, A. 1976, Electronic Biology and Cancer, Marcel Dekker, New York. Szent Gyorgyi, A. 1976, The Living State and Cancer, Marcel Dekker, New York. pg 5.